Since he felt thus strongly, I have thus far not written any blog on his Christmas stories, individually or as a group. But time wears the spirit down, we compromise and the reality is quite a number of the stories are superb. One can even find (as with Dickens, or Oliphant or other Victorian authors who wrote a number of Christmas stories) a recurring set of themes, and motifs whether the story takes place in the fierce (fiery) heat of Australia (Harry Heathcote), centers on Christmas or just takes place at that time of year regularly or at a climax (“Catherine Carmichael,” “Two Generals”, “The Telegraph Girl”). He was deeply sceptical (not a mystic element in this man’s mind) and you will not find any ghosts or miracles, no revenants seeking revenge or to awaken the better nature of the person visited,no places haunted by some invisible past. He tends strongly not to focus on Christmas itself (the holiday or even its customs, with Mistlebough an exception) but let the time of year or the setting, the expectations built up around the holiday provide the emotional temperature. Then you find stories exploring the nature of charity, forgiveness, reconciliation, compromise, how the holiday functions as a memory device (it marks time), and brings out what is most characteristic in the nature of dominant characters. He wants his story to be a genuinely felt experience too. Trollope wrote ten of them in longer and shorter stories, and four comparative chapters inside a remarkable novel, Orley Farm: I picked these out as stories taking place around Christmas time, where Christmas an experience or time-maker figures in the story), and in Orley Farm anthropologically considered. I’ve written (together with others conversational style) analyses, commentaries, summaries of these (linked in). My favorite once was “Christmas at Thompson Hall,” because I saw it as a story of comic anguish, not about the reunion home but the experience of intense pressure when obstacles get in the way of getting there, especially if you have lost status in some ways vis-a-vis against the other members of your family over the years. Mary Brown’s husband has lived a supine drone-like existence, they have no children, and they have rarely returned until now when she feels she must because her sister is marrying. We see how her husband has used a supposed weakness of constitution to control her and in this case almost thwarts her getting there in time. She takes this punishment of her out on the staff and also him, but is herself humiliated. Alas, it’s not the husband who ends up over-medicated – which would provide some poetic justice. (But then life doesn’t). In a way were her dithering trips around a vast freezing cold palace of a French hotel not done empathetically, many would not be amused. The story is edgy. But recently I found myself much preferring, enjoying once again, “The Widow’s Mite” for the full sociological and economic context, the character types, and especially Trollope’s revision of the familiar parable. The deeper lesson I glean is that it does not matter if the giver has to give up something, the way to measure how much good you do is how much you gave to the person in need and how much it helped them practically, not you morally (because that is too hard and ambiguous). I concede I may be reading against the grain here. The mills had no American cotton, but the masters were reluctant to change their machinery to suit Indian supplies if there was hope of the Civil War ending. Elizabeth set up ‘Sewing-schools’ to provide part-time work and corresponded eagerly with Florence Nightingale, hoping that some of the laid-off mill-women might train as nurses… ‘The poor old women’ were her special concern: ‘at present they have only the workhouse allowance; barely enough for the cheapest, poorest food – only just enough to keep life in. They have worked hard all their working years – poor old friendless women, and now crave and sicken after a “taste of bacon” or something different to the perpetual oat-meal.’By late summer the Plymouth Grove household had to check themselves from talking about the distress, ‘which was literally haunting us in our sleep, as well as being the first thoughts on waking and the last at night’. Gaskell’s words, in a letter, but this is very much the feeling you get in Trollope’s story, too, where the family are increasingly feeling guilty about every little luxury while others have nothing. “The story is written with a wonderfully light touch, but still gets its powerful message across, probably as effectively as any preacher. At the start, most readers will be likely to laugh at the argument between Charley and Bob, where Bob tries to prove that if everybody gave up their Christmas dinner the savings would be “two millions and a half” – and Charley brings him down to earth by pointing out that the grocer and butcher would be ruined. However, if as readers we continue to scoff at Nora as she decides to make her own personal sacrifice by doing without wedding finery, I think the laughter soon dies on our lips as we realise that there is indeed a real point in her giving up her two mites. My idea (Ellen here) is it is the feeling that people ought to have a decent dinner on such a day, some warmth, something to feel hopeful about that gives rise to the action of the story. What shall this middle class family do, if anything, to help the Lancashire cottonworkers of the area? Is it in good taste for the family to have an expensive wedding and the bride a luxurious dress when all around them others starve. Trollope seems to think this talk is phony, the characters don’t really mean it — or he has one of his characters (the American alas) assert that. As the story opens we are told the American civil war has led to the Lancashire cotton workers losing their jobs and as it has gone on for some time they are now beginning literally to go without food, without warmth, without clothes, and some are nearly starving. They have been laid off as there is no cotton to work upon, but as Trollope develops the story there seems to be little resentment against the war against by the people it’s hurting. (It has been suggested they identified with the slaves.) The heroine, Nora, wants to help her uncle, the Reverend Mr Granger, gather money to feed the workers, but she feels she wants to feel she’s done something. It’s not enough to give out of her superfluity; she wants to give up something she will miss. It may seem odd that she finds this difficult to do — but she is middle class, gentry, genteel — and by the end of the story, has not pulled it off, quite. She is about to be married and the question arises, how much money should they spend in this situation. Will they look bad? to themselves, it seems. This ‘problem’ is one that seems to speak to some middle class people as important. To those who starve or are homeless, such a question is egocentric: the concern suggests that the middle class is more interested in its own feelings than in giving to those who are in need. Still this is the way the story is often read; when I assigned it to my classes, one girl gave a long talk about how when she was young, someone forced her to give up an expensive doll she liked to a cousin. She was told that wasn’t charity at all as she didn’t even need it. I’m afraid this little girl wasn’t impressed. Charley, Nora’s other cousin, takes her to task for not spending money on finery, for in her efforts to help the cottonworkers she will leave those who make clothes without work: “Charley condemned [Nora] altogether, pointing out that it was bad policy to feed the cotton spinners at the expense of the milliners.” He is the one who feels the others are pretending to themselves they feel this regret. The characters argue explicitly over how the wealthy in their community should go about giving to the poor: should they give charity or does this ruin the independent spirit of the workers? In the situation at hand this is an absurdity. It is said by the Newt Gingrich of the piece, Frederick Frew, Nora’s bethrothed and an American, who we are told “trusts to syllogisms which are often false, instead of to the experience of his life and daily workings of his mind.” Trollope tells us explicitly and through the use of heavy irony that our American Fred is wrong when he scorns charity givers as degrading the poor, that his analogy of “how dogs let other dogs starve and therefore we but follow nature if we do likewise to other people” is wrong, and that his idea “the widow would have done better to have invested her small capital in some useful trade,” is a hilarious bit of anachronistic and here obtuse American capitalism. Trollope was not a Tory in his own time; he ran on the Liberal ticket. Alas, this kind of thinking is running rampant in the US again today — at least among the powerful in Fox and other corporate news media. Back to the story. How does Nora solve her problem? (Note it’s her problem; the angle is taken focuses on Nora and not the starving people.) Well, what she tries to do is to give the money she was going to use to make herself expensive finery to wear on her wedding day to her uncle for the use of the cotton-mill workers. She is about to be married and decides she will have a plain wedding, and she refuses to allow her American (and Unionist) husband-to-be to pay for the finery which he could do. I would liken Nora to the person with one pair of very fancy boots walking in the snow who sees someone with nothing on his feet. She gives up her boots up so she can feel the snow, although she has a small pair of ordinary shoes in her bag and is close to home where there’s another pair of boots waiting for her. What Nora discovers is she doesn’t miss her very fancy boots at all, and — and this is what is interesting about the story — she doesn’t get the uplift she had longed for. She thought it would make her feel good to walk through the snow shoeless ( to keep up my metaphor) or with inadequate shoes, but it somehow doesn’t. This is the subtlest level of the story. Trollope suggests such a feeling is fleeting at best because luxurious goods are not what make us happy. In this moment Nora does feel the uplift she longed for. Her uplift is in her actual preference for the simple and for plain emotion, not in having deprived herself of some luxury. Nonetheless, we are left with some decent thought about the parable which Trollope also consciously emphasizes. Through the parable, he asks, Why was it necessary for Nora to “feel” deprived in order to feel her charity was charity? It seems to me that Trollope’s text shows us this parable projects a very selfish kind of charity, one which is egoistic: Nora’s feelings about her charity giving were were more important than the results of the charitable act: feeding hungry people, providing them with warmth and clothes. “They watched the scene on the beach. ‘No. I am quite warm, Ross. Let me stay a little longer in the sun. Some are bitter, and then the emphasis is on winter itself, December into January, dark, cold, bleak or wild: The Angry Tide (the 7th) when Elizabeth has just died. All we know is this moment, and this moment, Ross, we are alive! We are. We are. The past is over, gone. What is to come doesn’t exist yet. That’s tomorrow! It’s only now that can ever be, at any one moment. And at this moment, now, we are alive — and together. We can’t ask more. There isn’t any more to ask … Demelza to Ross (last page of The Angry Tide). Some are quiet-reflective, The Miller’s Dance and The Loving Cup (the 9th and 10th books). 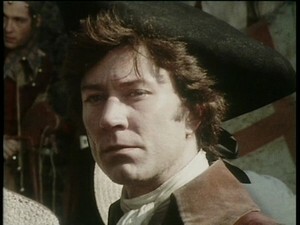 In The Twisted Sword (the 11th), the deep tragedy of Jeremy’s death continues to the end, only lifted somewhat by the birth of Lady Harriet Warleggan and then Cuby Poldark’s baby, while Demelza keeps the festival. Lastly, Bella (the 12th) just after Valentine’s death and Ross’s nightmare, the characters all return to Cornwall for Christmas. We pass a bleak Christmas in the second half of the novel Jeremy Poldark, but it is not emphatic, just part of the year made much harder because of desperate conditions during this festival time, and we observe Christmas more emphatically in The Black Moon during the birth of Clowance when the news comes to Nampara that Dwight Enys is still alive. So only four novels do not end in December/January or Christmas: Jeremy Poldark (a christening), The Black Moon (very bitter at the close), The Four Swans (very uncertain, all the women having been forced into bad choices), and The Stranger from the Sea (an uneasy unsettling). 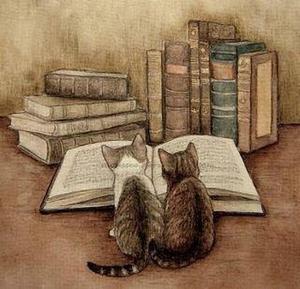 Just as important, all the novels are carefully keyed to seasonal time-lines, from autumn to winter, winter to spring and summer again; attention is paid to the relationship of what’s happening to daily customs, agricultural and other rhythms, the weather, and Christmas is part of this, and made more of when it coincides with some crisis. I conclude the natural world as central to human existence (and Graham’s love of Cornwall), and holiday rituals meant a good deal to Graham for their creation of a sense of community and humane comradeship, for their enacting memory and for hope of renewal. One reason these patterns may not have been noticed is they are not observed in the either the older or newer serial drama. When Christmas does emphasize something special in the story at the moment (new marriage, desperate poverty, worry over the life of an imprisoned friend), then it’s there. But not the seasons and no sense of a sequence of customs to which Christmas belongs for themselves. The interest in Cornwall in both series as to Christmas seems decorative; in the older series, there is a reveling in the place; in the recent they attend to the workaday world. We don’t have adaptations past The Stranger from the Sea for either series, but looking at the older 1975-76, 1977-78, the only transitional moments from one novel to the next where this kind of coda is observed is in a mid-book, the bare bleak half-starving Christmas from Jeremy Poldark, complete with a family dinner, caroling, Demelza wanting to ask the Brodugans for money). 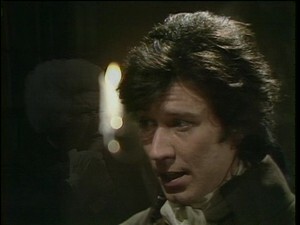 One could cite the mood and bleak outdoors in the final episode of the second (and as it turned out) last season (1978), The Angry Tide, which ended, with Demelza and Ross looking at their children holding hands, and George grieving at the window from which the camera takes us to gaze at wild waves and rocks. Except it is not Christmas nor December as it explicitly is in the novel. A good deal of the original series was filmed on sets, and the focus was strongly on particular personalities in a story. So only two scenes from the older Poldark show the intense attention in the books paid to interweaving a Christmas piece with the realities of the characters’ dispositions, circumstances towards or at the end of a book. As to the recent 2015-16, and now 2017 Poldark: in the first season (2015), the fourth episode near the end corresponds closely to the end of Ross Poldark: Ross and Demelza now Poldark go to Trenwith for a Christmas visit and (as it turns out temporary) reconciliation, and details from the book are dramatized, such as Demelza’s singing (above), though not Elizabeth on the harp. Then again in the second season (2016), scenes corresponding to the observation of Christmas are dramatized during a hard time in Jeremy Poldark; in the third season (2017), placed just before the rescuing of Dwight Enys is a dramatization of a quiet Nampara Christmas from Black Moon to which is added Caroline and Demelza and Verity seeking funds to enable this rescue at this Christmas party. For all the rest of the episodes of this new Poldark while we might have a funeral at a close (we do twice, Jim Carter and then Julia), nothing is made of the year’s seasonal patterns nor Christmas. The perpetual coming out on the cliffs is not keyed to any season, or any activity but openings at the mines. Scenes are not complexly nuanced in quite the way they were in the older series. What this suggests is how different are the rhythms and internal structures of the episodes of both Poldark film series from that of the novels: some exception in the first series for Jeremy Poldark and The Black Moon (1975, 1977), and for the second again Jeremy Poldark and The Black Moon (2016, 2017). But how important season, time, holiday ritual, weather, true feeling for the particulars of place was to Graham has not been felt by any of the film-adapters of the Poldarks thus far. A curtain of mist hung over the Black Cliffs at the further end of Hendrawna Beach, most of it caused by spray hitting the tall rocks and drifting before the breeze. There was a heavy swell which reached far out to sea, and a couple of fishing boats from St Ann’s had gone scudding back to the safety of the very unsafe har­bour. Gulls were riding the swell, lifting high and low as the waves came in; occasionally they took to the air in a flurry of flapping white when a wave unexpectedly spilled its head. No one yet expected rain: that would be tomorrow. The sun was losing its brilliance and hung in the sky like a guinea behind a muslin cloth. It might be objected, Does any movie? some do, and some film adaptations. One set that comes to mind are the film adaptations of Jane Austen’s Emma, especially the 1996 ITV by Andrew Davies (with Kate Beckinsale as Emma, Mark Strong as Mr Knightley, Samantha Morton, Harriet) and the 2009 BBC Emma by Sandy Welch (with Romola Garai as Emma, Johnny Lee Miller as Mr Knightley, Tamsin Grieg as Miss Bates), keep to seasons as they are part of the underlying structure and emphatic moments of the book, and bot adapters emphasize Christmas or the winter holiday, snow. Have a look here. So they all went to look, at least as far as the stile leading down to the beach)· further it was unsafe to go. Where the beach would have been at any time except the highest of tides) was a battlefield of giant waves. The sea was washing away the lower sandhills and the roots of marram grass. As they stood there a wave came rushing up over the rough stony ground and licked at the foot of the stile, leaving a trail of froth to overflow and smear their boots. Surf in the ordinary sense progresses from deep water to shallow, losing height as it comes. Today waves were hitting the rocks below Wheal Leisure with such weight that they generated a new surf running at right angles to the flow of the sea, with geysers of water spouting high from the collisions. A new and irrational surf broke against the gentler rocks below the Long Field. Mountains of spume collected wherever the sea drew breath, and then blew like bursting shells across the land. The sea was so high there was no horizon and the clouds so low that they sagged into the sea (from The Angry Tide, quoted by Graham at the opening of Poldark’s Cornwall, 1983 version). A lot of people may feel they know the novels because they’ve seen these film adaptations. Others may read the books after the adaptations and have their understanding framed by the films. What they remember is what the film emphasized. There is a long respectable history of publication for the first four books from 1945 to 1953; and the second trilogy (the novels of the 1970s, Black Moon, Four Swans, Angry Tide) has continued to attract readers partly as a result of the films and these have been seen through the films. The last five are much less well-known. Many classics are in effect in this position: far far more people saw the film Wuthering Heights in 1939 than had read Emily Bronte’s book in the previous 150 years of publication and availability. That’s probably the case with Graham’s books. A sudden anthology. Read and look at what takes your fancy. Tonight I read a difficult paper on Samuel Johnson’s poetry: the author’s central perspective was there are meanings within meanings, as no character remains the same once adapted and translated and filmed, so there are links everywhere, infinite regress into intertextualities. I was led to remember how deeply great learned poetry can make one feel if you follow it within, ever circling, remembering, each time unearthing yet another couple of lines suggestively remembered in the “top” or surface line. Translation provides this pleasure from a single passage. And each new variation adds another perspective, image, thought, feeling, oasis or terror. Good poetry from all eras works this way (good poetry is learned, knowing what came before, projecting what is to come); what differentiates the classical variety is the austerity of the surface and use of formal verse, be it through rhyme and regularly prosody, stanzas, or imitations of Milton, strong blank verse (what a funny name for it). Of sister-nymphs, who dance around my car. And peopled towns, in soft confusion blend. While at a small conference of fellow 18th century scholars, I heard a paper I mean to discuss elsewhere where (among others things) it was suggested that Radcliffe found peace in darkness, here we find her in that transition time, absorbed in twilight, a lover of autumn. Thus lightly skim, and haste away. Si stacca il monte dalla nuvole. Il loro lume è chiaro. The mountain leaves the clouds. I know I have not situated and re-situated. Another name for this is intertextuality, which the reader can perform, not the poet. Round and round the valley. Having the time of their lives together. Part of your life and the passing year. That blessed youth itself is fading. I should have known that when Helen Maria Williams (1759=1827, Wordsworth loved her poetry) writes of a thrush, she speaks of how the foolish bird fled from her to its death: for the past month while my kitchen was renovated, I worried sick lest my cats flee the house to their death. They could not begin to make it as feral cats: I put them in a pets’ boarding house and they spent the week in the cage, would not come out, finally were provided with an inner box, all padded, where they cling to one another’s arms: it gives a whole ‘nother turn to Henry Fielding (1707-54) story of how Blifil let Sophia’s bird free to spite her and Tom (out of malice) and Tom fell in the water trying to recapture it. Fielding diverts out attention from the bird who is not seen again: Elegy on a Young Thrush, which escaped from the writer’s hand, and falling down the area of a house, could not be found. Mistaken Bird, ah whither hast thou stray’d? My friendly grasp why eager to elude? And fear’d to hurt thee by a touch too rude. That thou down yonder gulph from me wouldst go? And there the dog may rove, alike thy foe. Soft, though not fashion’d with a Thrush’s skill. A selfish pleasure, bought with pain to thee! Had led the circle of thy life along. Which other Thrushes knew when winter frown’d. The utmost limit of a Thrush’s age. Like Man’s, mistake the path that leads to bliss? What do you mean summer’s here? It’s the beginning of May. Well, arguably from the point of view of weather, here in Northern Virginia we have two seasons: the cold (or maybe it would be more accurate nowadays to say the mostly cool and chilly) where days are short, and the light is ruthlessly husbanded to make it last as long as possible in the later parts of the 24 hour cycle; and the hot (sometimes fiercely) with long enough light, so those of us who find demands we awaken in the darkness so hard to take, have the relief of a lit sky by 6 am. And we are in the latter season now. But that’s not how I’m defining summer. I’m defining summer as the day when teaching ceases, and my schedule turns into a summer one for the next 3 or so months. As I teach in a college where the semester’s classes ended for me yesterday, that’s what happened today. Some people don’t feel the term is ended until the literal work is & I understand that. In a way I’ve a third of the reading of students’ papers to go. They hand in their last (3rd) paper and do a final (which has 3 short essays in class as part of it and outside class answer about 20 questions) but for me once my summer routs begin the summer begins. And while I like it, indeed find it exhilarating, sane or larger perspective-giving, what I find hard is the teaching itself. That’s the ordeal, that’s the strain. And today I began to develop my summer’s reading and started to develop the trajectory into my summer’s writing. I sent off a final copy of my review of the Later Manuscripts of Jane Austen, a Cambridge book edited by Janet Todd and Linda Bree, and am finishing the last of the reading for my on-going project of reading and writing about a letter by Jane Austen each week: Mary Brunton’s 1810 novel, Self-Control and Brian Southam’s Jane Austen and the Navy. I began my return to Sophie Cottin to see if I can make a proposal on infamous novels for the coming EC/ASECS, using Cottin’s Amelie Mansfield and Charlotte Smith’s Manon Lescaut. I’ll write more about this as time develops — I have no deadline as I’ve also decided to go down to one section a term starting this fall so this new group of ever-revolving routs is not going to end come late August, only diminish somewhat. Over on my Sylvia blog I’ll try to work out my plan every so often. I do need order so I feel I have meaning and if only to know what to read and what to write next. For tonight I thought I’d say here what I’ve been listening to over this past year in my car — using MP3s as CDs which I have to buy. I’ve tried the librivox recordings: Mil Nicholson reading Dickens’s Our Mutual Friend is probably among the better as she really reads dramatically, but I found I couldn’t enjoy it. She just tried too hard, went excruciatingly slowly in order to pull the voices and imagined scenes off, seemed after all to miss the larger implications or meanings and it strained my patience how at the end of each chapter I had to listen to a full announcement once again that this was librivox, in the “public domaine”, by whom, who reading and where we were. I was told this was to try to stop those who are unscrupulous from selling these readings by informing anyone who bought it they need not have. To my mind all this did was allow the private property and personal profit system to invade the world of the imagined books naggingly. Audible.com and other venues where one can supposedly buy (or perhaps rent) many kinds of recordings are set up to cheat the customer, to trap him or her into spending huge amounts of money (see “Stay Away! it’s filled with traps!”). So my plan to use my new ipod this way didn’t work. And there’s nothing for it but buy what one can find at Amazon. I checked out how much it would cost to turn my audiocassettes into tapes. I might do this eventually — a little at a time though. It costs $9 a cassette. That doesn’t sound overmuch, but what happened when you have 18 tapes for one of the book so Paul Scott’s Raj Quartet. That’s $180 for the book. You see the problem, especially as I’m not sure the book’s tapes are not dried out and will transfer well. For me that means mostly older books and what’s called classics and better fiction when it’s on sale. A sad decrease in what I can choose from. The old books-on-tape used to include read books that sold only to relative minority of people — good non-fiction, history, biography, science, e.g., David Case reading abridgements of Darwin’s Voyage of the Beagle or Gibbon’s Decline and Fall of the Roman Empire which were not savaged but long enough to include a lot; Donada Peters reading Victoria Glendinning’s biography of Anthony Trollope. When the demand for big profit and wide sales as the criteria for what would be read aloud took over, mostly trash or this year’s fashionable book for an elite is all one can obtain — and by buying, not renting. Still I made do. Why? I still spent a lot of hours in my car, often driving Izzy somewhere. These hours were cut down as of December when she got her good full-time job as an Information Technologist. Yes she did. I still though have many as there is no good public transportation in Virginia. And, as I’ve mourned as Sylvia, I can no longer read much or even at all at night. My brain gives out and at best I can watch movies — or write blogs. Summer being here I will be much less in the car (twice a week for 90 minutes to and from GMU was a central time), so I thought I’d record what I read this year — or listened to which comes down to the same thing sometimes better as books brilliantly read aloud are true to many authors’ purposes. Unless I’m misremembering (which I don’t think I am) I began with Donada Peters and David Case alternating the two narrators of Anne Bronte’s Tenant of Wildfell Hall. This was so good, especially the soft brogue Case used for Gilbert Markhan, I sometimes could hardly wait to get into my car. This was late spring just after my tape deck broke and I never finished David Case reading Fielding’s Tom Jones. Come June I was into Trollope’s Last Chronicle of Barset read aloud by Simon Vance. While he is good, his interpretation was grating: he read Josiah Crawley as not tragic but veering on the comic-ridiculous (or contemptible). Hot or true high summer (August) I began and through the early fall (much of this with Izzy) listened to Donada Peters reading Daniel Deronda (we loved it, especially the Jewish half of the novel or intertwined stories), Middlemarch (I don’t think it could have been better read) and Romola (a book that fails but nonetheless has some great, riveting sequences — Izzy found it so as well as I). One might call it a George Eliot year. I tried to post regularly in the morning on some of this in order to keep notes and remember. Only for Romola did I have anyone reading with me (on Trollope19thCStudies). Then we turned to Dickens. I regret to say I succumbed to an abridged version of Dickens’s Little Dorrit. I thought I’d try it as the complete was so expensive — so many CDs. Anton Lesser was superb and, with a little help from Davies’s film adaptation and interpretation of Amy Dorrit (and memories of Christine Edzard’s), I felt we were in the presence of preposterous genius. The book is prophetic of today. Still we missed much I know. Then the ill-fated Mil Nicholson of Our Mutual Friend. Sometimes the book felt stillborn and if it had not been for Sandy Welch’s brilliant film, I would have gotten nothing out of it; with Welch I did feel I reached the pith and electrifying core of the book. I do think Dickens was tired or made a wrong decision to recuse himself as narrator for his characters in this novel are not sufficiently rich in imaginative thoughtful subjectivity, to carry the book. Just now I’m into David Case reading Bleak House; if I’ve heard or read this one before, I forgot a lot of it and again the problems in it (and there are a number as in all Dickens’s books) are counteracted by Davies’ film. Next up will be Juliet Stevenson (what a treat) reading Gaskell’s Mary Barton. So I’m not doing too badly, you see. Probably though since from here on in I’ll be relatively rarely in my car, I won’t be posting all that much on my reading since much this coming summer will be in the 18th century and surrounding Austen (I mean at long last to do a full paper on Bad Tuesday). I do try to read at night and have managed over the past couple of months to return to Winston Graham’s Poldark novels and have read at a leisurely pace (when I could) his Ross Poldark, Demelza, and now Jeremy Poldark. I’m finding these books reward re-reading and I’m seeing new rich elements in them I had not realized before. I know there are older tapes of these read aloud, but nowadays a reading must occur on MP3s as CDs to be listenable to for me in my car and affordable. So let me take time out to say here that I’m relieved and delighted to be able to say that for a second time Ross Poldark, No. 1 of this historical novel series, went over superlatively well. Last year I was so nervous going in on the first of the 3-4 days set aside for this (like other) books. But I got what were undoubted two of the best talks I had all term. This time a talk was given on the treatment of Demelza versus the treatment of Verity which got the whole class discussing these characters, their scenes, issues involved. I was startled to see a student I fully expected not to show, not only turn up for the talk, but bring a thoroughly marked up book. A fourth had gone through the mini-series and put on scenes for us to watch and then directed our attention to the book. She didn’t have a real thesis, but her choices were such, it left us a lot to talk about. It’s a tribute to the 18th century too. The last speaker (in my other class) was just chuffed to find feminist talk/discourse in the 18th century — and “by a woman” said she amazedly. She found a passage by Anna Barbauld’s niece, Lucy Aiken. I did have quotations from both Paine (Rights of Man) and Wollstonecraft (The Rights of Woman) ready. Several said how they felt there was not the resolution at the end that they wanted; that they were just beginning, hardly in medias res as they closed Ross Poldark. Graham catches the reader with his slow drawn appealing characters we believe in and identify with. There is this intensity of concern with the characters; Graham is in them and utterly involved with their fully imagined situation. This fourth time round I see that the core of the novel which dominates it is a continual intimate delineation of the two central personalities melding and not melding together in an early phase of their marriage. I’ve read on to Demelza and finished it last night for a fourth time. Ross Poldark incites a riot over two ships coming into and wrecked on the shore and a savage mob action ensues, a Walpurgis night to match the splendor of the night catching pilchards. The last two times round I really didn’t read slowly or carefully enough to see that indeed the hero is presented as psychologically half-crazed over the failure of all his schemes, the death of this baby daughter, the abysmal poverty around him closing in, and the enfeebled wife who to free his sister, Verity, unknowingly brought this on them — she was loyal to the individual not the group, a no no for which she is harshly punished. Nor that there are striking Jacobin sentiments given him at the same time. The book rewards re-reading in the light of the other books. Winston Graham will be one of my continuing projects for a long time to come. So all this is to explain why I’ve not been posting on books here of late and or when I have it’s been retrospective (as in my Praise of Colm Toibin). I’ve fallen back on operas, movie-going or watching at night, what I’ve read and watched with my students (my lecture notes turned into blogs). And Downton Abbey — beloved older mini-series too. Now I’m ever hoping to do better and if I can muster up the energy to make sense of the morning notes I took on the above books or from my morning posts this summer, or find something new or genuinely interesting to say about what I have managed at night or in Jim and my coming summer activities (we are going to go to plays, operas, the Fringe festival again, the occasional lecture, dramatic reading aloud), I will. Spin offs from my later day-time routs will come in here too. In my brief discussion of Ross Poldark and Demelza I’ve given an example of what I hope to be able to do on occasion on reading-as-life.